The president of Facebook has taken an interview on a television program nationwide to announce a new tool that could "save lives." The more than 900 million users have registered will be able, if they wish to share with other members of the social network if they are organ donors. Also, you can tell how long you and explain what your own personal history and detail the reasons that encouraged you to make that decision based on solidarity. It is very easy to add to your profile on Facebook that you are an organ donor. Simply, you must enter your dates and click milestones is at the top. You then select the section of Health and within the menu that appears choose the right donor organs. Then you can add the state or country where you are registered as a donor, and date. If you want, you can even write a short story about why you became an organ donor. The aim is that this function is available globally to all members of the network, although there are still users who can not use it. For those who still are not donors, the system offers the possibility to sign up via the Internet, at least in the U.S. and UK. All you have to do is enter the country in which you live, and then are instructions and a link to the official registrar for organ donors. You can control you want to share with you are an organ donor. Simply select the level of privacy for that information to your profile. You can make it public for everyone, just for Facebook friends or customize for specific groups, such as relatives or close friends. Then you save the changes. Thereafter your organ donor status shall be shown on your biography and in the section about you. The interview was broadcast on the morning show Good Morning America issued by the ABC News in America. There, Mark Zuckerberg explained how he got the idea. Two people have inspired him. The first is his girlfriend, who is studying medicine at university. Often at dinner, his girlfriend, who wants to be a pediatrician, talks about sick children whom he knew. The other is the late Steve Jobs, a "friend" who managed to live several more years due to a liver transplant. Zuckerberg admits that the development of the tool is very simple, but adds in the interview that connect people to save lives is "awesome." 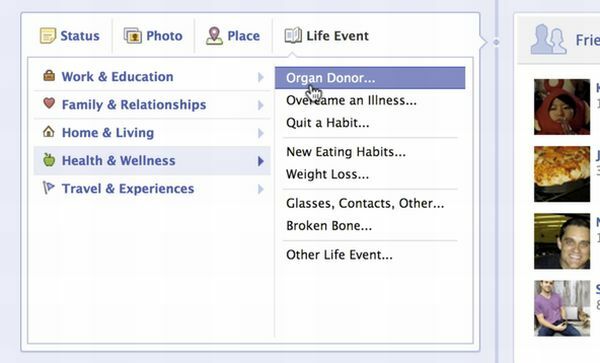 It also hopes that this new feature of Facebook to help reduce waiting lists for organ transplants. Only in the U.S., more than 114,000 people in need of an organ, and millions worldwide. On average 18 people die every day for not finding a suitable donor. 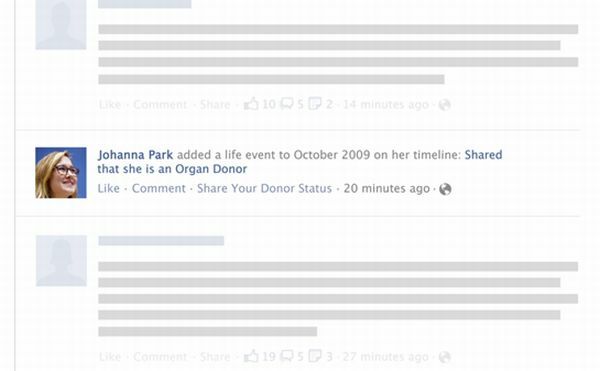 Simply telling the Facebook friends you are an organ donor, you can encourage others to join.